Can't decide which of the 2 I should get: dark blue, cyan, black and grey. Which would best match keysets like Nautilus, Yuri and Laser? All look so good. And will the polycarbonate plates be bundled to save on shipping? Cyan, imo, would look amazimg with all three of those sets. I went with silver, but may change to cyan. Still conflicted. Cyan looks sick, but silver with the rgb strip. Hmm. I think dark blue might go better with Yuri and Nautilus. Btw, is the rgb underglow pre-soldered? I'm in the same boat, I'm tempted by a pearl just because it looks so nice, but 40% just doesn't seem like the right thing for me. I even think i could do a like 50% without a number row, but losing standard keys in the main layout would screw with me. I'd buy the **** out of a 60% tho. The real question is... any plans for 65% . I won't steer you the wrong way on colors, but yes, the poly diffuser is bundled! Yes it is, you only need to program a key to toggle it for RGB to work. Thank you fox, I'm glad you like the look A 40% board, especially a very unique one is gamble if you've never used one. I don't disagree with your hesitation, and while id love to get this out to as many people as I can, my first concern is that you know what you are getting yourself into. Try a 40 out one day, get a cheap one off mech market and see if its for you! If you love the form factor, Im sure one will find its way to you. Thanks for you answer Kooba!! Indeed I should try a 40% one day. Moving from full to 60% was really a revolution for me, I love 60 (or around 60%) layout, think they are super efficient for what I am doing (mainly code). I am quite afraid that the 40% push it a little too far, especially for code, which would make things less efficient. And I totally agree with you Amnesia, the thing which bother me the most is loosing the classical layout on the other ray. a 60% without top raw (number) and a split space bar would do very nice. But with this layout I am quite not sure. Even more than this make the fitting of keyset complicated. I have a Budapest SA and Dasher SA on the end which need a keyboard, but I am afraid that they will not fit ! As for the keyset, any ANSI keyset will work. You can take the keys off your 60%'s and cover a Pearl perfectly. Budapest, Dasher, they both work fine. 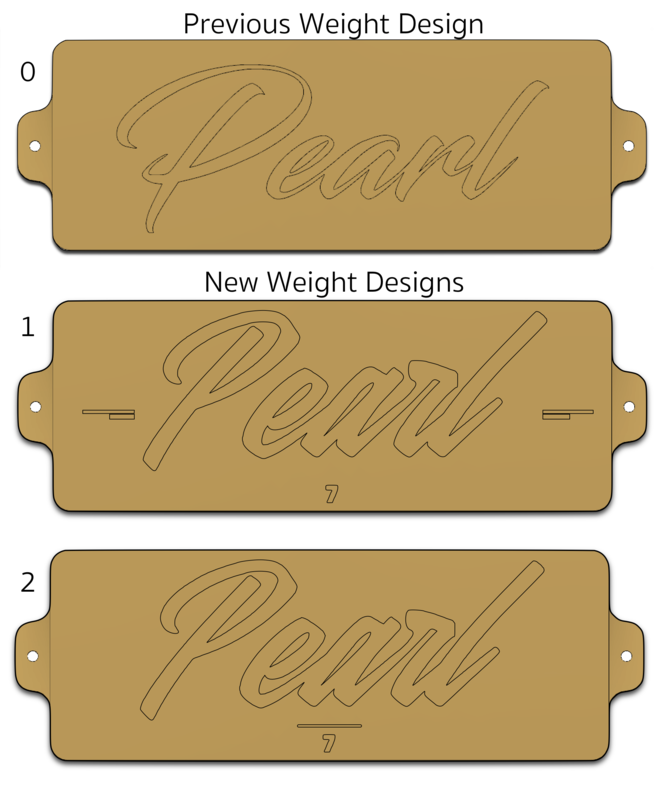 The layout Pearl uses was made specifically for allowing coverage from normal keysets :] The keyset compatibility on a 40% was actually my first checkmark when creating this project. Being on mac, I enjoyed instantaneously the 60% layout more than tkl or full since I mever used the f keys or page up/down, pause and so on. So the pomer layout was perfect, with caps lock remap to layer acces, and arrow on wasd, I love it. So yeah, 40% could be more for leisure when you don’t really need the full efficiency. As it seems the PCB doesn't have a button or something else to reset the controller. So will the PCB be bricked when flashed with misconfigured QMK and e.g. no configured RESET Key? Any update on engraving the order number? Is that still happening? Weight engraving is definitely happening! Been playing with new designs. Thoughts? Also i need suggestions on what color aluminum plate to get. I'm getting a purple pearl, but can't decide between a purple, cyan, or green ALU plate. Thoughts? Getting brass plate as well. You guys are hilarious lmao. I see how it is! A green plate would look sick. Red looks pretty sweet too. Id say it all depends on what keyset will go on it. For my Purple Pearl, the red plate and SA Miami combo looks killer when the plate shines through! I like it tons although I would enjoy a bottom left engraved number though ;) I know I'm a picky little boy! I like it tons although I would enjoy a bottom left engraved number though I know I'm a picky little boy! Thanks for the feedback gentlemen. Its ultimately up to you all! Will in-switch LEDs and RGB leds work together without brightness issues? I'm asking cause I've just assembled UK78 and in-switch LEDs are so dim and setting RGB brightness to max just turns in-switch LEDs off. Ultimately, I guess, it killed the PCB on UK78, so it's bricked right now. Screw that, made it 88. I do hope, that the numbers on the site are actual, cause I've been waiting for 88 for some time to match it with Laser 88 novelty. hey, I ordred through mechkeys.ca because PayPal but at checkout I put in my peasant EU address and I wasn't charged anything for shipping? Is that correct? So... I waited to join for the same exact reason lol. What time did you order? Hopefully the numbers are pretty up-to-date and one of us got it. Best of luck to both of us I guess! Ouch, im sorry guys. JFKroflcopter got #88. I didn't know competition was so fierce! And the order numbers are not accurate, but the form is. Some people have made multiple orders, some people have bought only stickers, plates and PCBS. You can just see what the current orders are at on the form and try to join in at that number. GL. Hey bud, thats correct. I'll calculate shipping soon for all the mechkeys.ca orders and invoice you separately! Thank you guys for joining - Happy late thanksgiving everyone and have a great weekend! Damn. Ok, pp transaction says 25 nov 2017 06:36:11 GMT-08:00 and just before paying i've checked Google form and it was 87 pearls purchased. Whatever, congrats JFKroflcopter, I guess my bad luck is here again. from a design perspective, IMO the number should go bottom right just cause it has the most negative space because of the angle of the font and the size of the first letters. But I think these look good too. You shouldn't in any way. That's my penalty for hesitation, I've been considering joining and made decision about color for like 6 hours. Wow, 95 pearls now. I guess, hunt for #100 is on! I need a 60% of this in my life, two even. Please consider doing a 60% version! Option to not have a number? Went with Cyan and brass. I was about to order an additional plate and PCB, but with the $60+ shipping, I decided to drop those. Is it possible to see a picture with sa Budapest on rose gold? I am in the same boat. This pearl design look just amazing, but I cannot resolve to use 40%. But if this go to 60%, I will be the first one to buy!!! Hey buddy, I don't have a black pearl, only gray. I can link some of those pics if you would like and try to photoshop it darker?! Im sorry Kalopsia, I don't have either of those in hand x! I know it's too early to say, but would this be the only round for the 40%? Or is round 2 in the future? I am in this GB, but just wondering if this will be a limited run. Like others have said, other form factor such as 60%, 65% would be awesome! All this talk about the next project, eeck im so excited, I agree, 65% is the dream! Hey! Thanks for joining in :] And you know, more rounds would be dictated by you guys and by the quality of this GB. If everything works out but everyone hates Pearl, then no more R2. If it becomes a very popular board with necessary changes and the market isn't saturated by 40%'s, then I can see a R2 happening with more accurate prices and timelines. I'm not in this to make a profit, and I just want to be able to fulfill! Which is why more rounds would for certain be dictated by you guys, and are not planned as of right now! You are all being too nice! 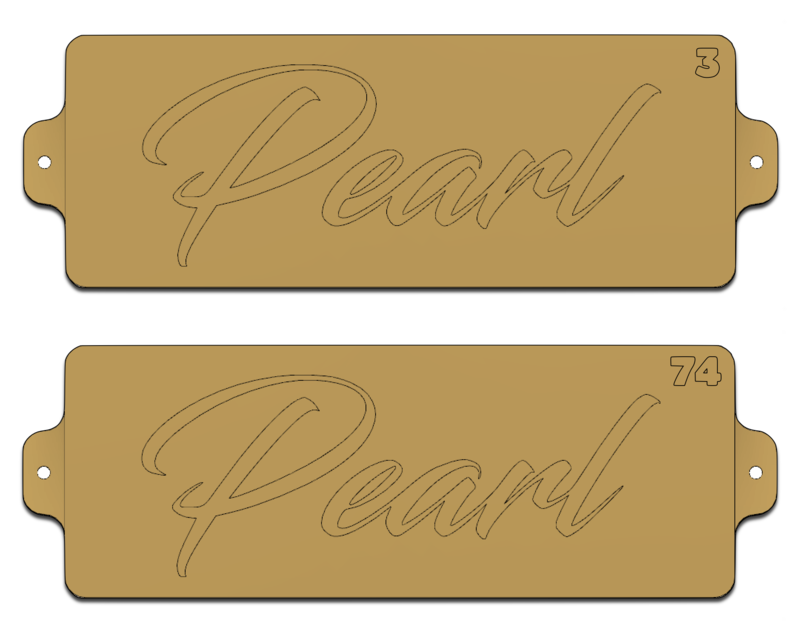 I appreciate the interest in a Pearl 60/65% even when there are so many cool boards already out there in those form factors. Bare with me, lets see how well I can handle this GB, and if things don't go to **** we can all work on the next board together!